Widely regarded as a tech hotbed, Austin, Texas has been poised to make waves in the Salesforce Ohana for some time now. Arguably, 2017 has been the breakout year for Austin. Earlier this year, Texas Dreamin’ was born, rivaling the size and success of many similar regional events in its very first appearance. Everything is bigger in Texas, as they say. Momentum continued as Austin Texans descended on the bay area for #DF17. Let’s review the highlights. It doesn’t get any bigger than a main keynote appearance with Marc Benioff. Austinite Stephanie Herrera made such an appearance, and it was well deserved. 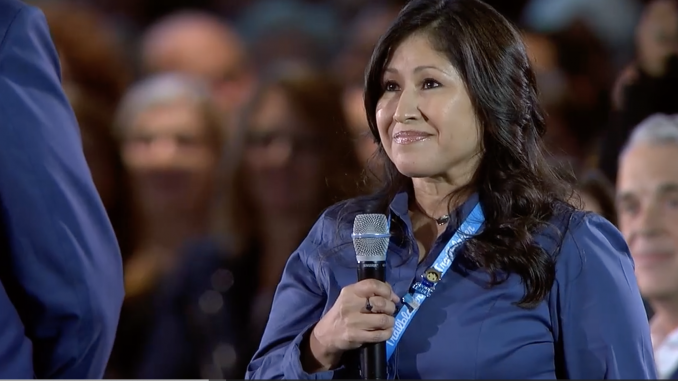 She started the Salesforce Saturday movement and her story is an inspiration to us all. You can watch her triumphant moment in the spotlight here. She even puts Marc on the spot and invites him to attend Texas Dreamin’ 2018… go Stephanie! 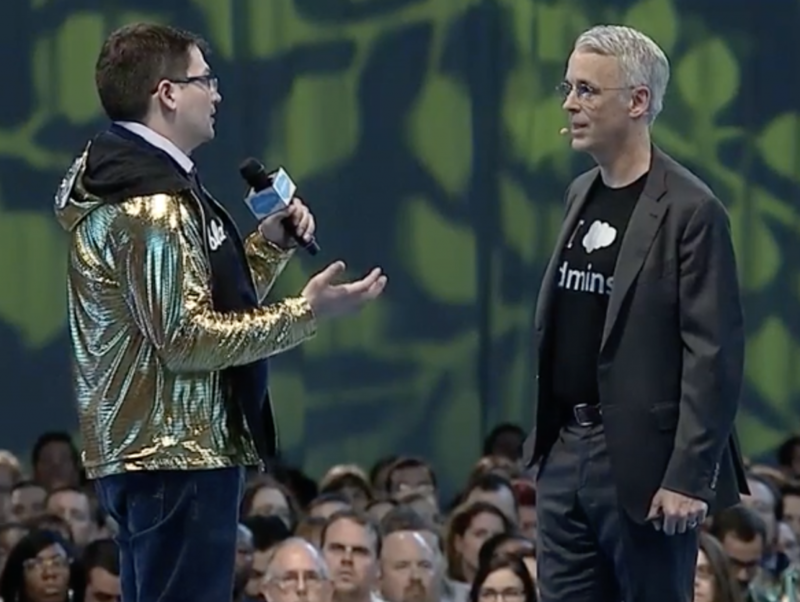 If you attended the Salesforce for Admins Keynote, you know that Austin’s Scott Luikart was awarded the coveted Golden Hoodie. Scott was on stage with Parker Harris to tell the story of how he has helped LGBT homeless youth via Montrose Grace Place. Congrats to Scott! 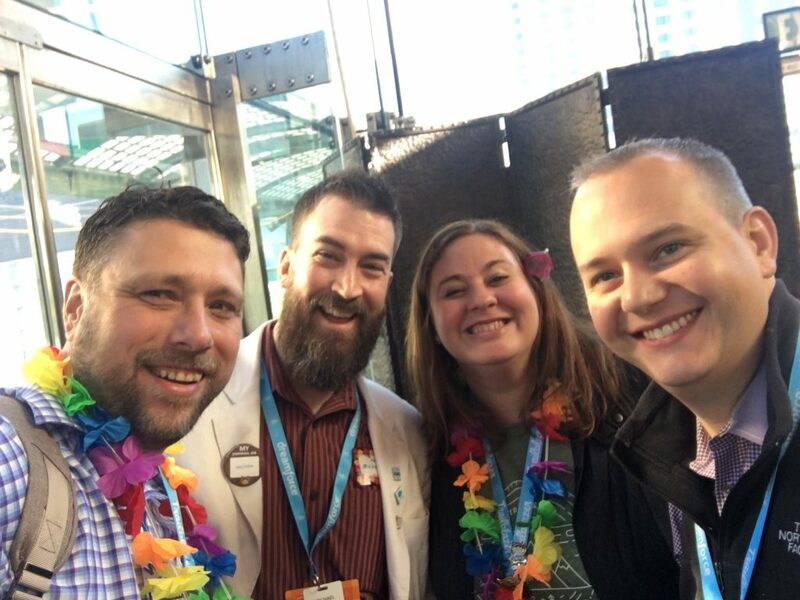 Austin recently had several new additions of the Salesforce MVP variety. Sue Maass and Terry Cole, recent MVP inductees, made the pilgrimage to Moscone for the conference. I had the honor of sitting down to breakfast with Terry and was blown away hearing about his wonderful work at Street Youth Ministry, and I look forward to Sue’s leadership in the Austin Developer Group. While we are on the topic of MVPs, it doesn’t hurt to mention that Austin is home to one Holly Firestone, Director of Community at Salesforce. Last and least, Austin now has an MVP hall of fame member in me! Many conference attendees were thrown off by my new beard… I explained that I live in Texas now, beards happen. I’m excited to be a part of the Austin Salesforce Community. So now you know… start planning your trip for Texas Dreamin’!